Following the excitement of the recent FIFA World Cup in Russia, Sydney is about to host its own version using robots. RoboCup 2019 will be held at the ICC Sydney from 1-8 July 2019. Over 30 soccer pitches will be built to accommodate the 2,000 participants and 20,000 spectators. The robots are powered by artificial intelligence rather than by remote control. Over 100 teams from around the world will compete across the leagues. Chairman of RoboCup 2019, Professor Claude Sammut from the University of New South Wales, says: “Australian teams have been particularly successful over the years in winning this event. Participants have to design, build and control their robots to obtain entry and it is a fiercely contested competition from year to year”. In July this year a number of Australian competitors travelled to Montreal, Canada to take part in the event. Five staff from the appointed PCO, ICMS Australasia, travelled to learn how best to make the Sydney event a huge success. Leader of the Australian Junior RoboCup Team, Gerard Elias says “We’re really keen to involve young students in this event as it’s a great way to introduce science and technology in a such a fun environment and promote a career in robotics and AI”. 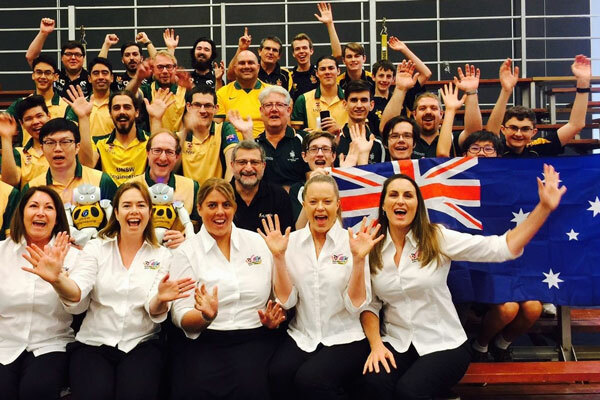 The Australian RoboCup teams and ICMSA representatives are pictured below.